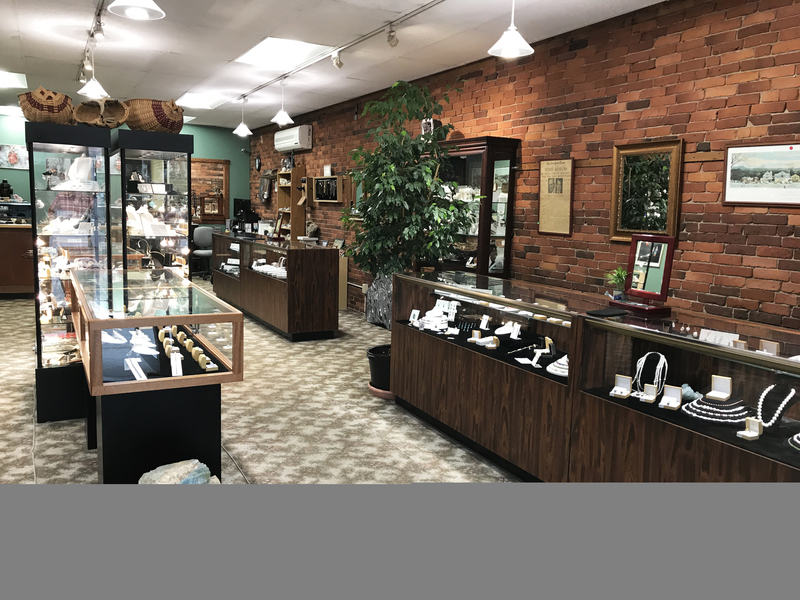 In 1990, Ron and his wife Cindy established Mainestone Jewelry as a home based business and developed a demand for his creations through word of mouth. In 1998, due to increased demand for his designs, they opened a retail store on Front Street in downtown Farmington, Maine. During the next six years the business grew, and in 2004 they moved to a larger store at their current location on Broadway. 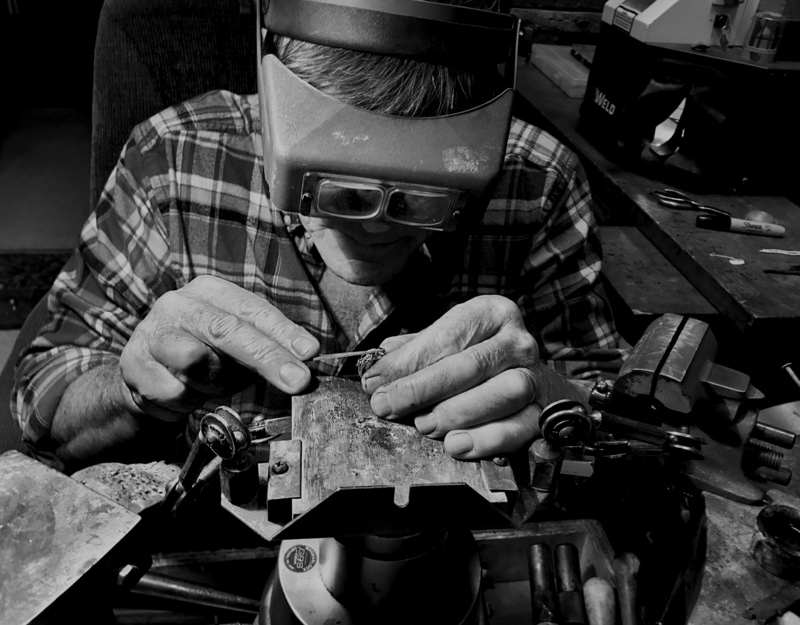 Our commitment to our customers and their needs has stayed the same as when we started out; to present the highest quality of creative jewelry set with Maine Tourmaline and other gemstones, provide our customers with honest and exceptional service, and to treat everyone who walks in our door not as a customer but as one of our friends. 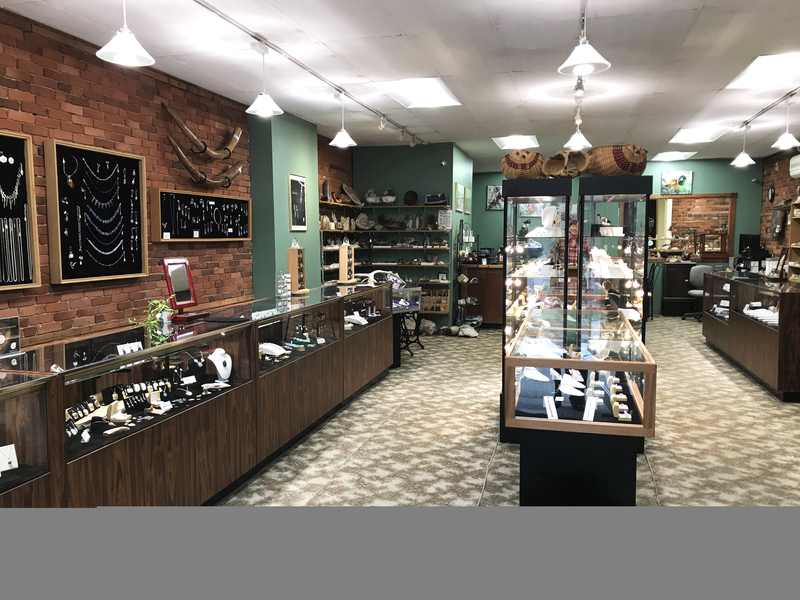 Mainestone also offers a variety of artisan made gifts, selenite candleholders, deer antler cribbage boards, Maine Tourmaline paperweights, and more. Our selection of specimens, minerals, and fossils from Maine and around the world will delight all ages. We welcome students from both grade schools and the University of Maine at Farmington (UMF) who might want to add to their mineral collection or enlist our help with school projects. Ron loves to share his passion and knowledge of Maine’s unique geology with its abundance of minerals, gems, and fossils. For the avid collector, we feature museum quality specimens of Maine Tourmaline in matrix with its associated minerals from the mines of Mount Mica and Newry. These mines are no longer open for collecting and therefore high quality specimens are scarce.